Sweet craving? 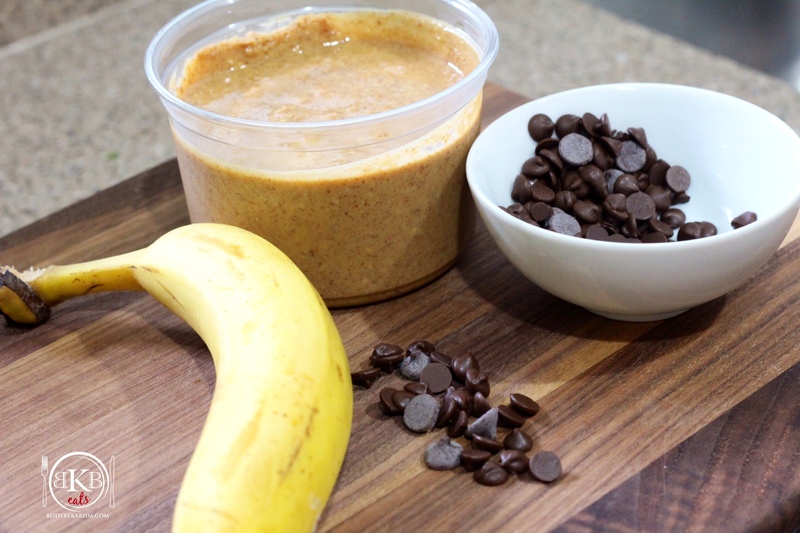 Try this tasty protein packed treat! Sunday we were craving sweets!! Our go to Bakery is closed on Sundays so we decided to be good & use what we had in the kitchen. The ingredients you see below helped satisfy the craving!! NOTE: This is a treat the whole family can enjoy. You can make as many as you like and freeze them. 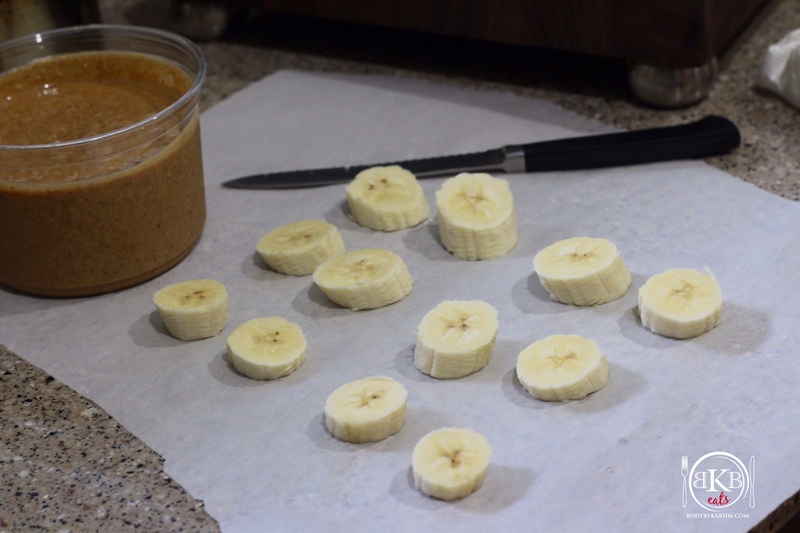 Slice bananas and place on parchment paper. Spread peanut butter on half of the slices. Top with remaining slices. 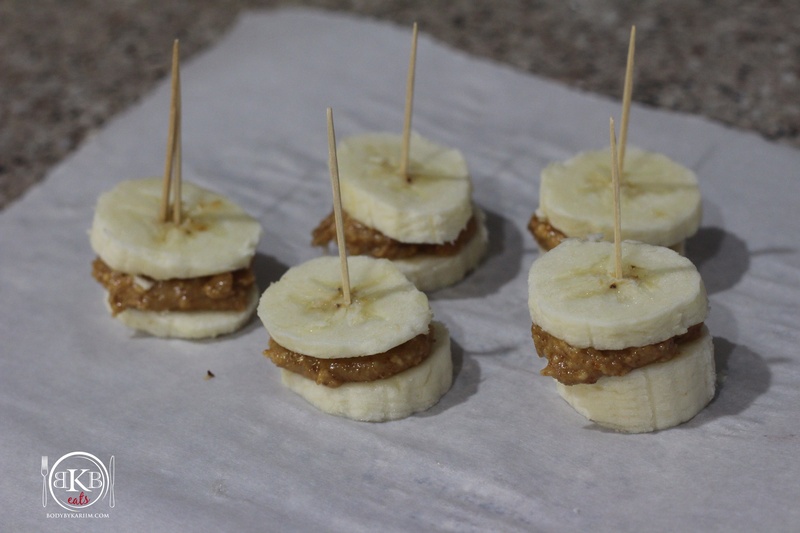 Place a toothpick in each & put them in the freezer for 1 hour or until mostly frozen. In a small pot melt chocolate. 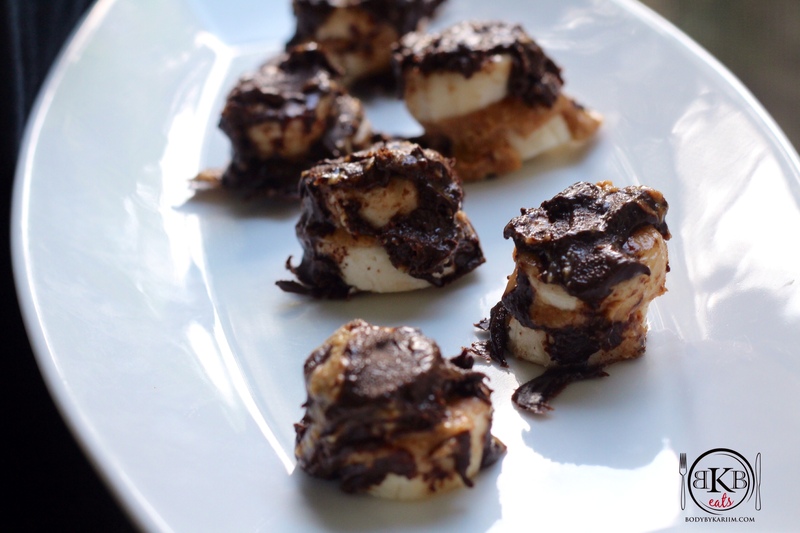 Once the bananas are frozen remove from freezer and dip them into chocolate. Put the bananas back in the freezer for at least 2-3 hours. There really is NO way to mess the taste of this treat up. Slice , Cover, Freeze, and ENJOY! 🙂 You can even add crushed almonds. 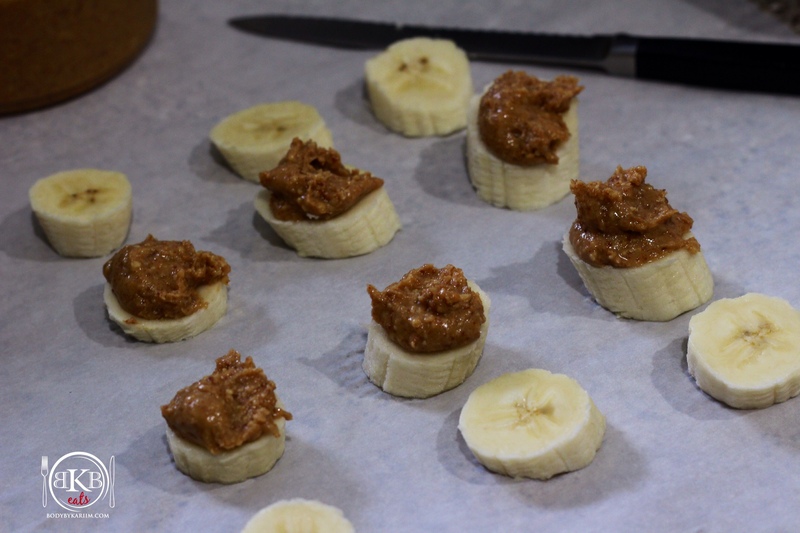 Oh– I also tried them with my plain Greek yogurt…Loved it! After being in the freezer. 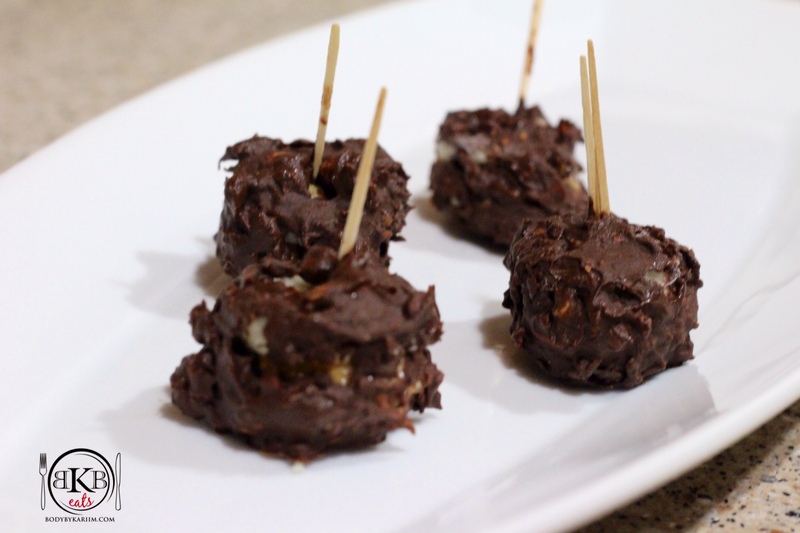 I used dark chocolate almonds on these. Even better!!! Melted the chocolate covered almonds the same way. Without toothpicks. I just drizzled the dark chocolate across the top.